Guest post: Tribute to late Terwar Meshack Orbura by CKJ Reader ~ CK Jacob: Nigerian Fiction And Lifestyle Blog. This is written by CKJ Reader Aorabee Iyambee from Ghana. It's long but find time to read it. 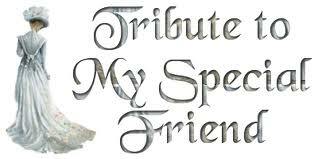 If you have a tribute for a lost friend/relative/ you can send me an email. Honestly, I lack words and reasons to explain the mysteries of death. Maybe, it’s because am not yet dead. I’ve not taken time to think about death. It’s very puzzling; I couldn’t make out reasons why GOD took him. The thought of death scares me. Now, even though I kick the bucket it shouldn’t be surprising. I always feel that death is close……… and close indeed. After ten months of leaving Bristow, my mates and close friends. I can still remember vividly, the times and moments I had with my late friend. Okay let me search my brain an stir up past scenarios .…..loading…..
Out of nowhere. He came out from the football field close to the dining hall. He was bare chested, his legs were covered with dust and a sweaty body. When he saw me. His face broke into a wide grin and the black spot on his nose glistening with sweat. Quickly relaxed and my face lightened up …….. I loved that pal; he was really my buddy……. My anger vanished and I smiled. Liamsee, he called out climbing the corridor and crossing over the gutter. “Tssgh” ah ooo guy where you go sef. Forest market go de close sef” I said. “We go chop he said as he entered the room”. I followed him. I didn’t want him to disappear again. I can still recall: During hunger strike, on a particular Sunday when the yam in the dining hall was insufficient. I took my cup and headed for room five to meet Terwar for garri. There on a flat “sleep and die bed” stripped to his boxers, he was sleeping peacefully in bed. When I looked at him, the thought of Terwar ever dying ten months later never crossed my mind or worse still imagining him laid in a constructed wood and buried six feet's down. I sat on the bunk and tapped him gently on the head felling the soft texture of his hair. He woke up and looked at me with sleepy eyes, when I requested for garri. He pointed at his cupboard and turned over again in bed. Back to sleep. I quickly jumped at the opportunity: I jerked the cupboard open, searched for the garri sack and buried my cup deep inside. When I removed it, the cup was overflowing with garri. I quickly hid it from his bunk mate who I was sure would beg if he sees it. Happily, I walked back to my room and divided part of the garri for later, later things headed for the dinning tap. I can still recall: we fought at the gbokohouse tap. I placed my bucket below the running tap and he hit it off with his jerrycan”he was coming from the field”. In terms of school slangs, that was called “chancing” and because he repeated and was now my mate: I couldn’t swallow it, I pushed him and before I knew it. I staggered back like “stagege” and I held my hand to the running tap. I didn’t really know what hit me but I was certain that it was his hand. I retreated and looked at him for any possible way to attack. His wit full smile shone on his face. My hand went straight for the key holder rope on his neck and I pulled it, which drew him near an he punched me in the face, I fell on my butts and I stood up quickly an grabbed my bucket and walked angrily away to the bore hole and swearing to settle scores with him. I still see as he kicked the sand with his toes and flung the shirt on his shoulder. Oh GOD is this really life? Life so short. I can still recall: when I mistakenly crushed his table tennis ball and ended up in the dean’s office. I can still recall: during evening preps hell enter the class with jumpy steps, smiling, wearing a tight compound wear, he often pick a stone to adjust the hinges of his locker and will make a hell of noise. Whenever test scripts where shared, well compare our scores and boast if one tops. I still build a mental picture of that, can you? Ill not just burn a candle for him, ill burn a whole forest for him. It’s not a happy thing for his parents to bury him. Tears flowing for you bro well all miss you. BAA 017. Terwar shared, played, laughed, fought and reasoned with me. What baffles lyambee is that he will be six feet down and ill be on the surface still. I feel that death is not fair, it has cheated. I feel that Terwar is someone who has known about me, eaten with me, but he is down there and I am up here breathing. He is enclosed in a so-called constructed wood called coffin and am walking freely. I can’t really explain but that’s what makes death more and more mysterious. It's been a long way from where we've begun but I'll tell you all about it till we meet again, adieu Terwar. But I know u will be watching me from where ever u re . Eyaaaaaaaaa you won't understand this post if you haven't lost someone close. I have been there and each day it just seems like a dream. Still can't believe it.